President Obama signalled his intent to invest in a 21st century transportation system: a 10-year, nearly $4 billion investment to accelerate the development and adoption of safe vehicle automation through real-world pilot projects. The U.S. Department of Transportation is removing potential roadblocks to the integration of innovative, transformational automotive technology that can significantly improve safety, mobility, and sustainability. The National Highway Traffic Safety Association (NHTSA) is using all of its available tools to accelerate the deployment of technologies that can eliminate 94 percent of fatal crashes involving human error. 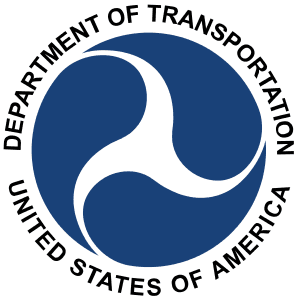 - Within six months, NHTSA will work with industry and other stakeholders to develop guidance on the safe deployment and operation of autonomous vehicles, providing a common understanding of the performance characteristics necessary for fully autonomous vehicles and the testing and analysis methods needed to assess them. - Within six months, NHTSA will work with state partners, the American Association of Motor Vehicle Administrators, and other stakeholders to develop a model state policy on automated vehicles that offers a path to consistent national policy. - Secretary Foxx encouraged manufacturers to submit rule interpretation requests where appropriate to help enable technology innovation. For example, NHTSA responded to an interpretation request from BMW confirming that the company’s remote self-parking system meets federal safety standards. Click here to read this interpretation. - When interpretation authority is not sufficient, Secretary Foxx further encouraged manufacturers to submit requests for use of the agency’s exemption authority to allow the deployment of fully autonomous vehicles. Exemption authority allows NHTSA to enable the deployment of up to 2,500 vehicles for up to two years if the agency determines that an exemption would ease development of new safety features. - DOT and NHTSA will develop the new tools necessary for this new era of vehicle safety and mobility, and will consider seeking new authorities when they are necessary to ensure that fully autonomous vehicles, including those designed without a human driver in mind, are deployable in large numbers when they are demonstrated to provide an equivalent or higher level of safety than is now available.